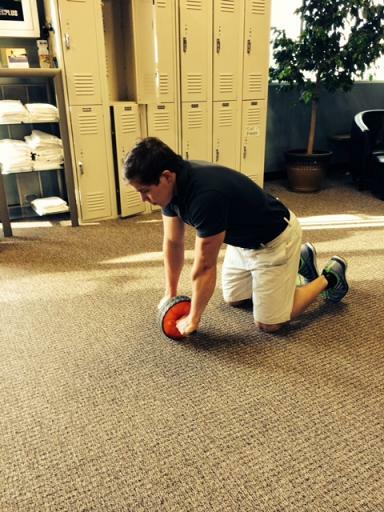 This weeks exercise of the week is the rollout and variations of the movement. This movement is an anti-extension movement whereas we are fighting to sink into lumbar hyper-extension (big pronounced arch in lower back.) This movement is taking into account that you have learned and become proficient at the basic anti-extension movements like dead bugs, planks etc..If you have not became proficient at those movements you would be better served to do those first and not jump ahead into the variations of rollouts below. A progression would look like this for a typical client. Plank-45-60 seconds- Body in alignment head to heel. 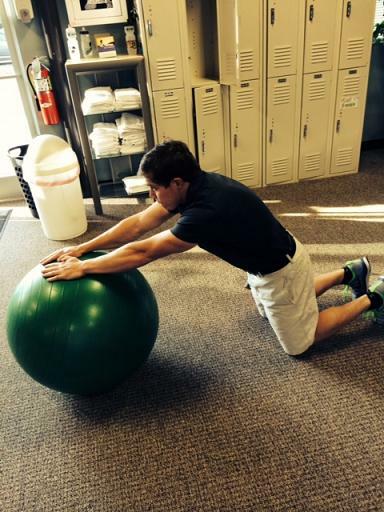 Stability Ball Rollout- The stability ball is like a big wheel, start with a bigger wheel and progress to a smaller ball as you get proficient and stronger at the movement. 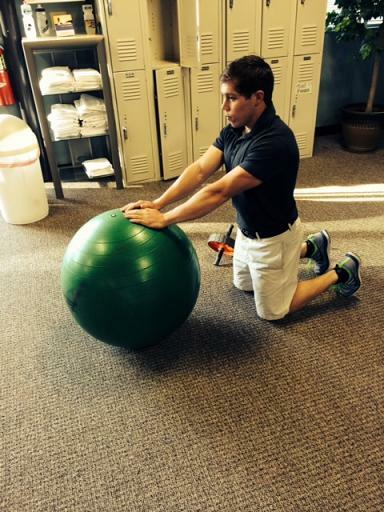 Keep the abs braced and glutes squeezed together throughout the whole movement. Abb Wheel or sliders or Rings- This variation also couples as a great lat exercise as your actively pulling your body back with your lats. 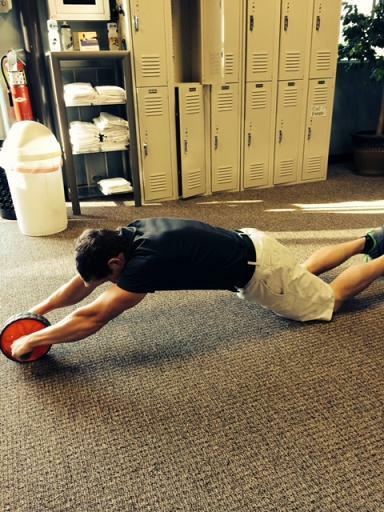 Keep the abs braced and glutes squeezed together throughout the whole movement.